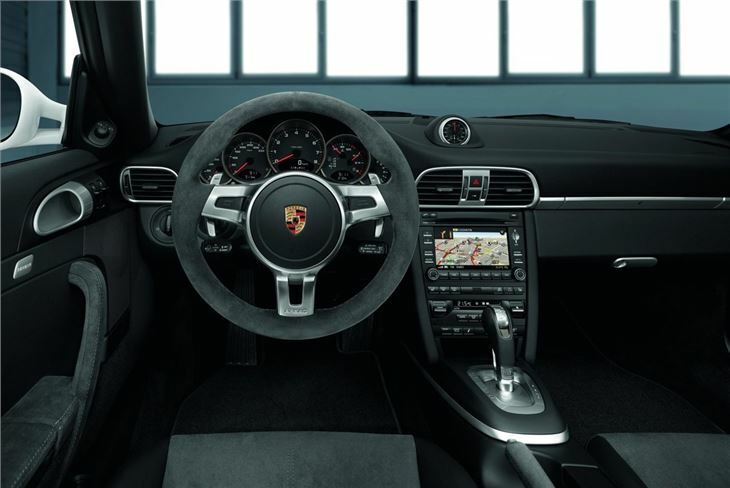 The best 911 Carrera in the range, adds even more enjoyment to the great driving experience, reasonable economy considering the superb performance it offers. Doesn't look very different from a standard Carrera. While Porsche has branched out into new markets in recent years with models like the Cayenne and more latterely the Panamera uber saloon, it's the core models that most people still associate the Porsche badge with. And for many, the 911 remains the ultimate Porsche and a name that, despite the emergence of supercars like the Audi R8, still holds plenty of sway. 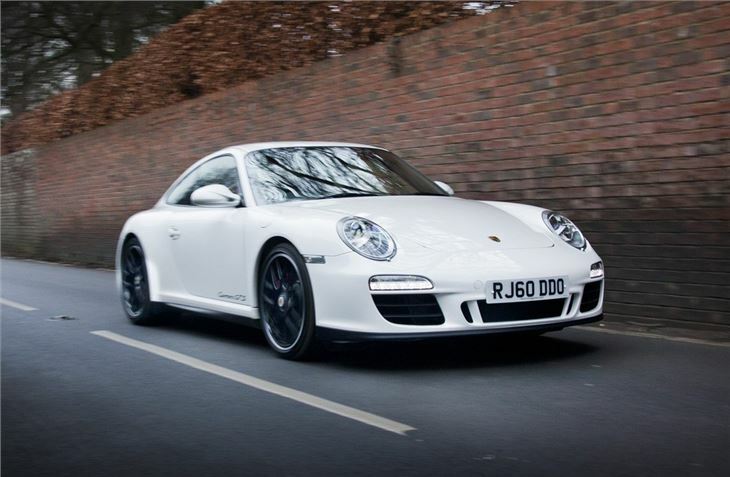 It may not turn heads like other high performance sports cars, but the fact it's a common sight on our roads is down to one simple fact - the 911 is bloody good. It manages that rare feat of combining great performance with driving enjoyment, refinement and everyday useability. So while the basic shape has remained unchanged since the 911 first came along in the 1960s (a running joke among many...) the years of evolution have produced a near perfect sports car. 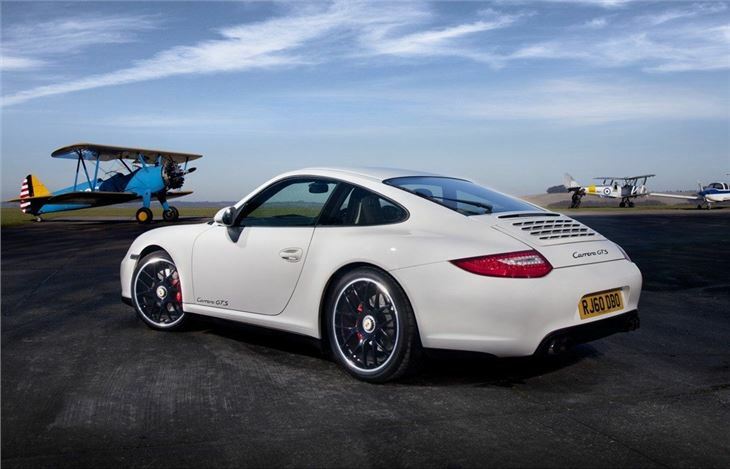 And sitting at the top of the 911 Carrera range is the Carrera GTS. Available as both a coupe and convertible it uses the same 3.8-litre six-cylinder engine as the Carrera S but power is boosted to 408bhp thanks to a host of engine changes including a new intake system, closing the gap on the 911 GT3 which has 435bhp. 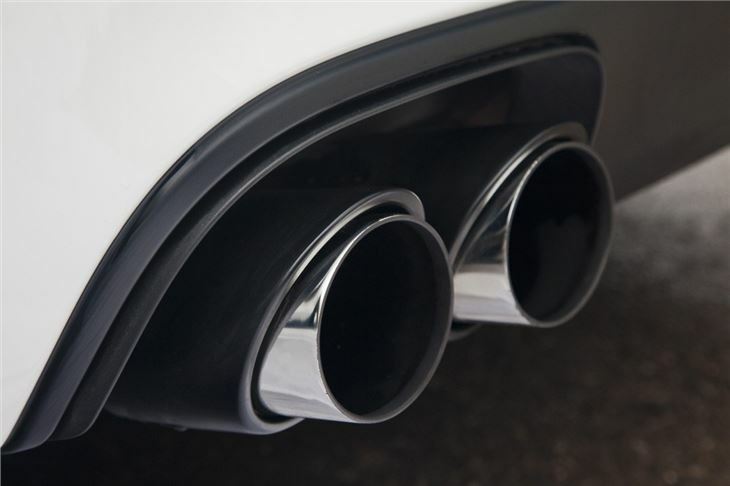 The engine has been optimised to deliver its torque lower down and the result is that it feels noticeably quicker when accelerating from low speeds. But the GTS isn't just about more power. 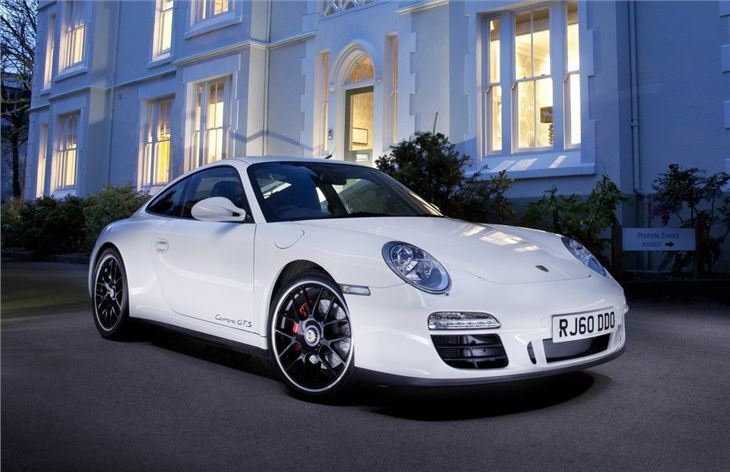 It has a wider rear body - the same as the Carrera 4S - but retains the standard rear-wheel drive layout, along with unique 19-inch black centre-mount RS Spyder wheels, which gives it more grip and stabilty in corners. Inside there are unique touches too including plenty of Alcantara trim, including on the steering wheel, plus the removal of the back seats to save weight. It also gets uprated brakes. It's a car that's genuinely more than the sum of its parts, so while the individual changes may not seem that substantial, the end result is a real joy to drive. 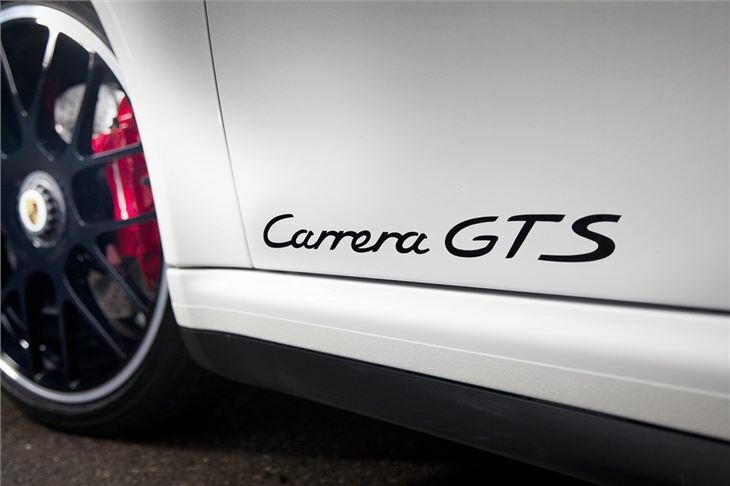 The Carrera GTS is certainly special enough to deserve its place as the ultimate model in the 911 Carrera range. At a shade more than £78k, it's an expensive buy of course, but at roughly £2000 more than the Carrera S is relatively good value considering all the extras it gets as standard. 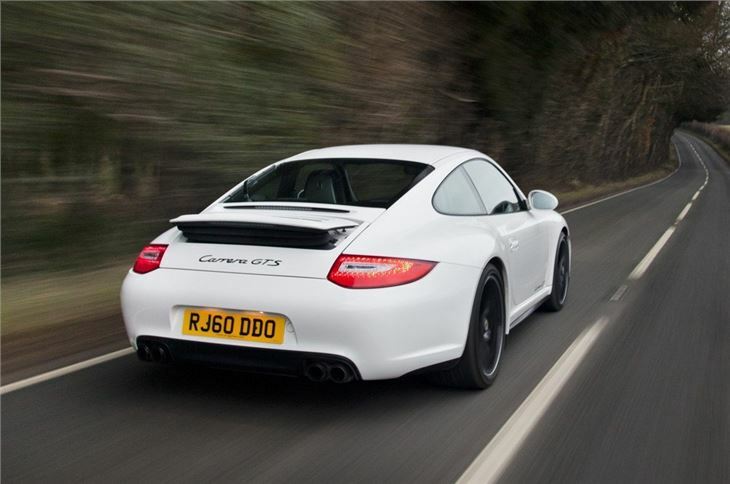 Later in 2011 Porsche introduced the four-wheel drive Carrera 4 GTS.